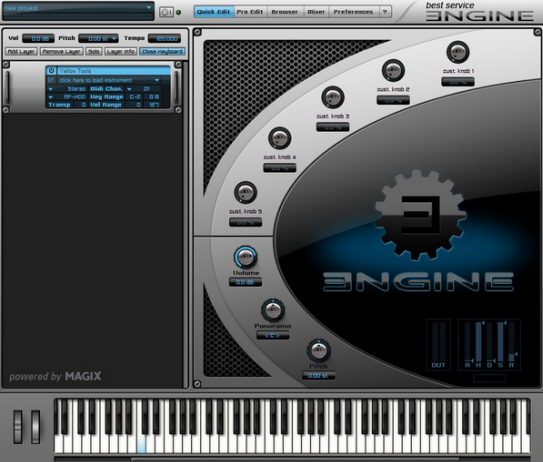 The professional built-in MIXER of ENGINE allows you to edit, mix and finish your instrument projects completely independent from your host. You can assign UNLIMITED BUS channels to your project. For your individual settings each Layer channel contains 5 BUS sends (selectable as pre and post).